Baldwins 40 and 44 at Silver Plume, CO. These two locomotives never ran on the D&RGW. I believe them to be 2-8-0 outside frames that came from Mexico or further south in United Fruit territory. 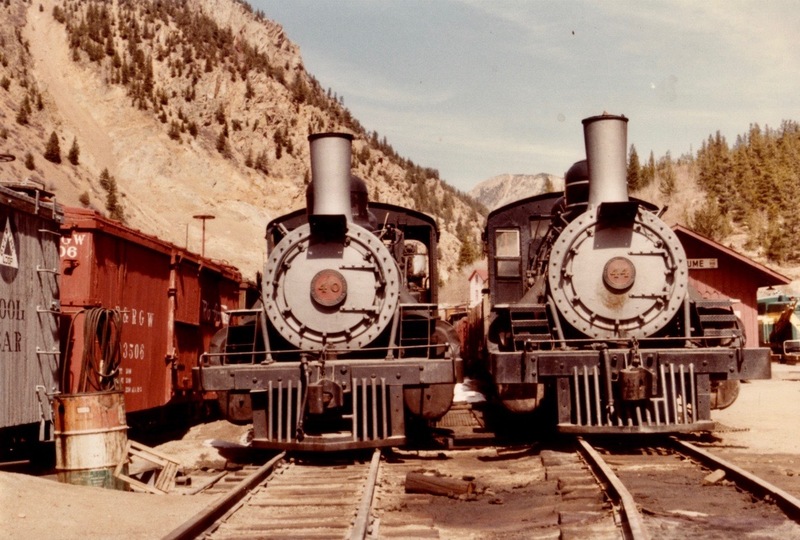 The track was never D&RGW but instead was off the original Colorado Central and eventually was owned by the Colorado & Southern. The famous Georgetown loop has been rebuilt as a tourist attraction.